Irish emigrant John O'Brien designed Thimble Cottage on Nagle's Hill in St. John's around 1850. O'Brien had emigrated from Ireland between 1815-1820 and began to clear 14 acres of land in Freshwater Valley, now located in St. John's. Thimble Cottage is a rare example of the type of farmhouse built by Irish settlers on the outskirts of St. John's, up until the mid-20th century. O'Brien took advantage of a measure by Newfoundland's Governor, Sir Richard Goodwin Keats, to ease the laws against commercial farming in the early nineteenth century. O'Brien established a commercial dairy farm and sold his milk to housewives and shopkeepers in the west end of St. John's. He nearly lost the farm in 1849 after a legal battle fined him £12 for an assault. O'Brien claimed he could not pay the fine and, consequently, his farm was to be sold at a public auction. A public uproar ensued caused by an editorial in Robert John Parson's Newfoundland Patriot in support of O'Brien. As a result, no one submitted a bid on the farm and O'Brien was able to keep his property. The present structure was the third home built by John O'Brien on his farm. Built for his son Timothy, it would usually take two winters to gather sufficient materials from the nearby forest to build such a dwelling. He made the chimney from locally-gathered stone and sheltered the structure with locally-made spruce shingles. The two-and-a-half-storeyed salt-box house has a sloping roof which makes the structure a single storey at the rear where the kitchen is located. The dwelling is typical of a nineteenth century Newfoundland Irish farmhouse. It is the sole survivor of approximately 20 similar homes that were once common in the Freshwater Valley area. The family continues to own the farm and dwelling. John O'Brien's great-grandsons, Aloysius and Michael, live there now; the third brother, John, died in 1997 after also having lived there. Aloysius is well known in St. John's for his extensive knowledge of Newfoundland botany and for his fluency in Irish Gaelic. In recognition of his exceptional contributions to Newfoundland's horticulture and the preservation of Irish Gaelic, Memorial University of Newfoundland granted Aloysius an honorary degree in 1982. The O'Briens have fought against the forces of modernization to preserve the farm that has been in the family for nearly 180 years. They have rejected million-dollar offers made by potential developers and resolutely defend their property against industrial and residential intrusion. Thimble Cottage is known as a great place for stimulating conversation and over the years many well-known figures have visited the O'Brien homestead. Perhaps the most famous visitor was former Irish Prime Minister Bruton, who spent an afternoon with the O'Briens while visiting the province. Irish historian and author Aidan O'Hara is a frequent visitor. Some well known Newfoundlanders, such as musician Pamela Morgan, are regular visitors to the O'Brien brothers. 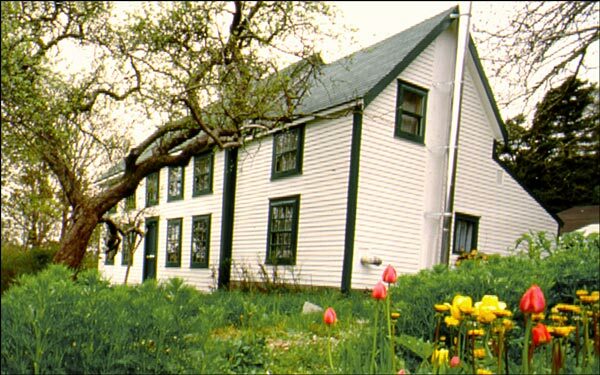 The Heritage Foundation of Newfoundland and Labrador rewarded the efforts of Aloysius and his brothers to preserve their land and home in May 1992 when Thimble Cottage was declared a Registered Heritage Structure. This structure was also awarded the Southcott Award for Heritage Restoration by the Newfoundland Historic Trust. Also view Thimble Cottage Registered Heritage Structure, and Thimble Cottage - City of St. John's Heritage Site on the Heritage Foundation of Newfoundland and Labrador web site. The Newfoundland and Labrador Heritage Web Site has on its site only a portion of the registered heritage structures in Newfoundland and Labrador. To view a complete list or search for a particular structure visit the Heritage Foundation's Property Search page.